In what turned out to be the brand’s final year before becoming Burson Cohn & Wolfe, the agency had a triumphant 2017 in the UK. Under the leadership of EMEA managing director and London CEO Scott Wilson and UK managing director Rebecca Grant, Cohn & Wolfe has been transformed from a 45-year-old traditional PR shop into an integrated marketing and brand experience agency. It was worth the ride: fee income at the London outpost of the best-performing PR pony in WPP’s stable grew by 17%, its seventh consecutive year of double-digit growth (and it’s no coincidence that Wilson joined eight years ago). 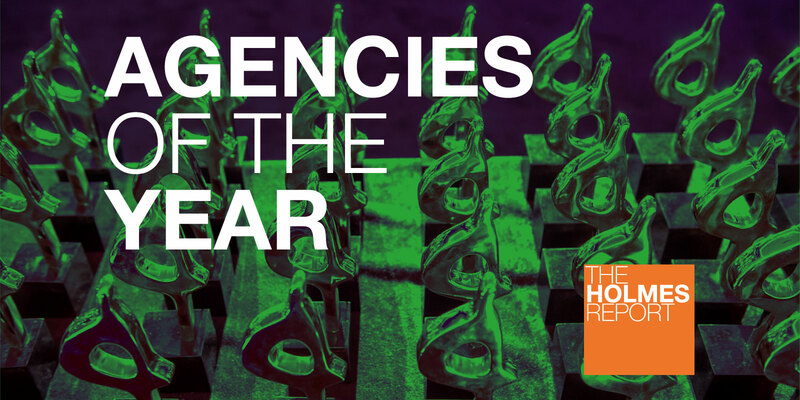 The multi-award-winning agency – including an astonishing 21 Cannes Lions in the past two years – puts its continued success in a challenging market for big networked agencies down to “unrelenting curiosity” and redefining the integrated model: blending creativity with technology to achieve real business results for clients. And while achieving these sorts of numbers year after year can mean sweating the team, Cohn & Wolfe held fast to its values: “open, brave, united and true”. From its tech roots, Brands2Life has become a true integrated agency, carrying out more multi-country, multi-platform programmes than ever before for digital-first brands from high-growth disrupters to tech giants. It now encompasses consumer, corporate, finance, crisis, B2B, social, healthcare and public affairs expertise, and has diversified into health, energy, financial and professional services, retail and property and construction. Organic growth is impressive, as the agency is often brought in to handle one assignments for clients, who then realise that it works across disciplines and borders and can support all aspects of creative and paid work as well as traditional PR via earned and owned channels. The merger of Omnicom agencies FleishmanHillard and Fishburn Hedges three years ago instantly catapulted the new firm into the top 10 in the UK—an elusive goal for Fleishman for many years. It also seemed like a natural fit, with Fleishman’s healthcare, technology, creative and content capabilities supplemented by Fishburn’s corporate affairs expertise. And after two consecutive years of double-digit growth, it’s clear that CEO Jim Donaldson (who had joined Fleishman in 2015 from Weber Shandwick) and deputy Ali Gee (who had ascended to the top spot at Fishburn just before the merger) have made the deal work. The combined FleishmanHillard Fishburn now has more than 200 people in its consolidated London headquarters, as well as a team of content marketing specialists in Bristol. (And while it is a standalone operation, under the leadership of Rhona Blake, it’s worth remembering that FleishmanHillard’s Dublin office is a market leader in terms of size and quality.) Donaldson and Gee have invested heavily in building a collaborative, supportive culture, reflected in last year’s #ListengingFace employer brand campaign, and a series of professional development and diversity initiatives. Building a £10m global business in eight years while maintaining the passion and energy of a boutique PR shop takes some doing, but that’s exactly what Molly Aldridge and Chris Hides have achieved at M&C Saatchi PR. Launched in 2010 within the M&C Saatchi Group, the founders have grown the London agency from four people to a 118-strong global communications team, active in 10 markets. The agency, which had growth of more than 11% to £10.3m in 2017, articulates the three things that make it special as: “Brutal simplicity of thought”: ideas that distil business and communications challenges into simple strategic solutions; “Driven by passion”: leaders in all markets are empowered to pitch, recruit and assign accounts based on the passion points of their people; and “Blended teams”: every account team is built specifically to meet the needs of the client, from digital and experiential to content. At the heart of the agency is CREATE, its team of planners, creatives, content producers and designers who, led by Nathan Kemp, develop bold ideas for more than 50 tech, travel, fashion and beauty, retail and finance clients across Europe, Asia and the US, 90% of which were retained in 2017. Dixons Carphone, EE, Foot Locker and Red Bull were joined on M&C Saatchi PR’s roster last year by 17 new clients including BT, Google, Sonos (UK and Italy), Virgin Active and Lipton (EMEA). With a team of more than 300 in the UK, now under the leadership of chief executive Rachel Friend, Weber Shandwick is one of the top two PR firms in the market—second only to Edelman. The firm has enjoyed four consecutive years of growth, and fees last year were up by close to 20%, with the top 40 clients up by better than 40%. Organic growth came from clients including Amazon, the Bill & Melinda Gates Foundation, Cityfibre, ExxonMobil, HSBC, Honeywell, Pearson, Roche, Vauxhall, Virgin Atlantic, Visit Wales and Whyte & Mackay, while there was new business from AHDB, Boehringer Ingleheim, Coty, Espon, Hitachi Capital, Iceland Foods, Kellogg’s, Mars Petcare, Novartis, Our Power Richemont, Rockwool, Sanofi, Syngenta, Velux and Virgin Holidays. Driving that growth is a radical transformation of the offering, with major investments in insights (data, analytics and strategic planning), content (creative, video, production and design) and integrated media (digital and social). The London office, which Friend headed before her recent promotion, has been particularly active, developing the agency’s new MINDS (Media Intelligence & Data Science) offer, influencer identification and tracking tool FLUENT, and community management AI tool PRODUCT Q. The acquisition in 2016 of mobile marketing specialist Flipside added yet another future-focused capability.